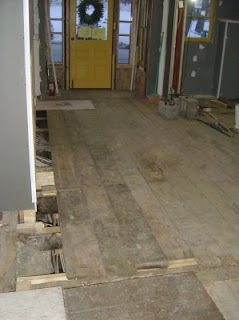 So I thought I had it all figured out yesterday, and started getting ready to install some floor boards. Just then I noticed a minor flaw in my plans. Back to the drawing board. But this round was quick, because I used a plan B. Of course I am not done yet, but it felt good to have something done.